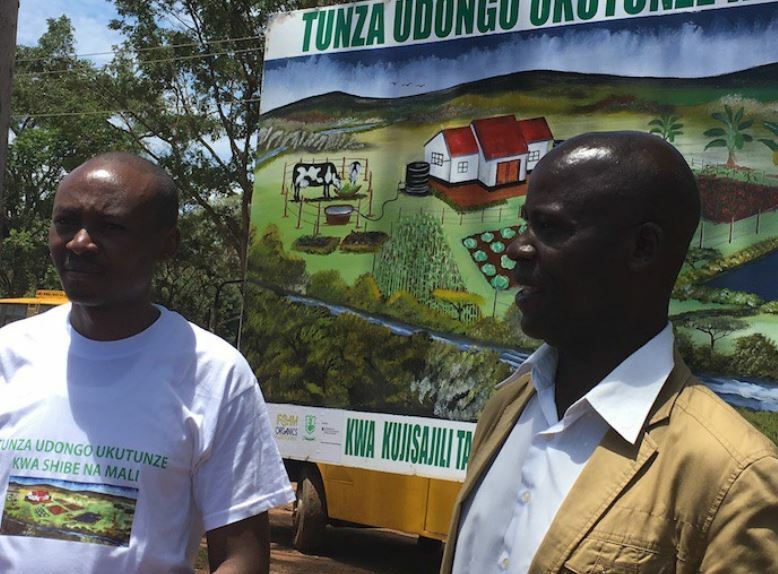 It’s the story about a locally produced billboard about the benefits of organic biointensive agriculture in the city Kitale in western Kenya’s maize basket. It’s the story of how that community-designed and produced message was successful (even though a multi-national chemical company had installed a much larger one in the same city). to understand that marketing is about behaviour change – and to be clear on the behaviour to change. to take the time to know WHO your market is – to know what they want and what they need. That successful billboard didn’t happen in a short conversation – it was the result of ten days intensive work to get clear on the campaign slogan and call to action – based on deep understanding of their target audience. As you’re developing website copy, spend time with your audience – don’t just “guess” or “assume” because it’s easier than asking. Explore with them what they want and need – in the long term – and what they would need to do to get what they want. The process is the same, whether it’s the “more income, greater food security, and a healthier environment” of those Kenyan farmers – or “better health from a good night’s sleep by investing in non-allergenic, pure wool bedding”.